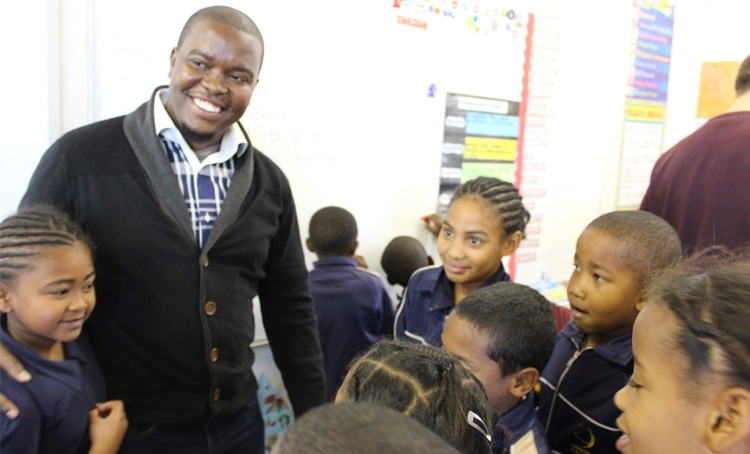 Meet Odwa F., a former Christel House South Africa student. He grew up in a hostel in Langa, living with his mother and four brothers. The home lacked necessary resources such as food. Odwa expresses his gratitude towards one of the hostel elders, who always ensured he had something to eat each day. Reflecting on his childhood, Odwa describes the elders’ actions as the true meaning of ‘Ubuntu,’ which means ‘human kindness’. The feeling of Ubuntu continued to surround him from the time he joined Christel House in the fifth grade. Christel House became his family, where he felt a sense of belonging among his fellow students and teachers. At first, Odwa struggled with the English language, and at times his behavior was also in need of discipline. The support from his teachers helped him master the English language and develop a strong sense of self-esteem. Mr. Stern and Mr. Herdien are two teachers he remembers as his 'tough Uncles', who guided him along the way. Today Odwa operates Ndibano Tours, a professional and community-based township tour business. He has earned a growing list of accomplishments, including a tourism degree and a qualified guide certificate for the metropolitan area of Cape Town, South Africa.